Can science save the Pacific’s threatened fisheries? Kiribati artisanal fisher, Republic of Kiribati. Photo by Quentin Hanich. By 2030, research shows that local small-scale coastal fisheries will only meet demand for fish in six out of the 22 Pacific countries. Poor fisheries management is likely to exacerbate the problem in a region where fish makes up 50 to 90 percent of the animal-sourced protein consumed by rural populations and where coastal fisheries provide the primary or secondary income source for up to 50 percent of households. 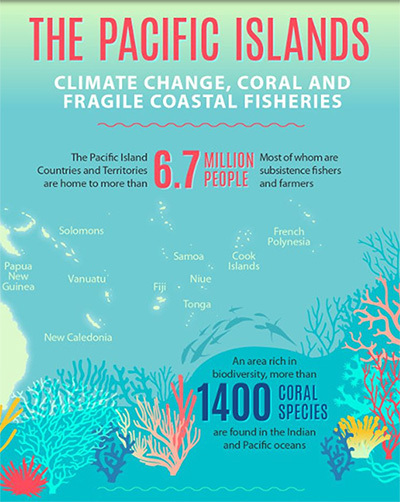 Building knowledge – including through research undertaken by a Pacific Community (SPC) and WorldFish partnership – is an important means to forming appropriate local, national and regional solutions to the looming crisis. 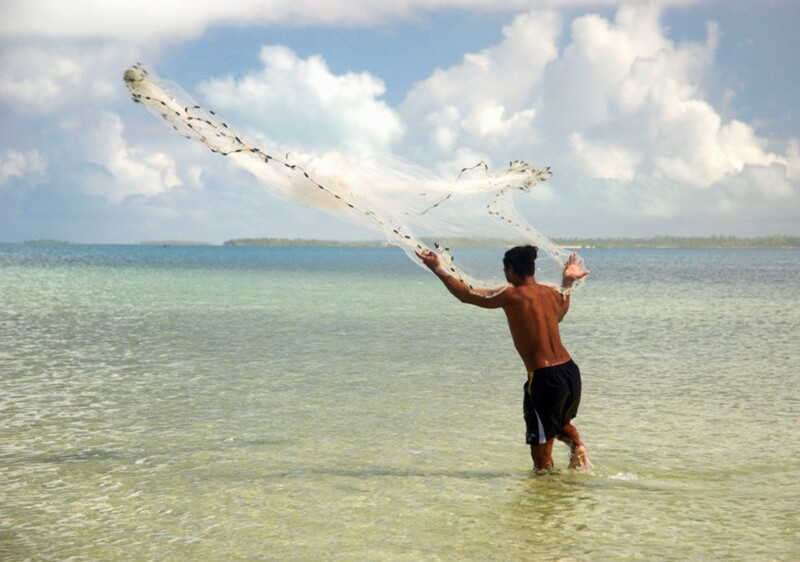 In the Pacific, communities employ various measures that influence how fisheries are used. For example, in countries such as Solomon Islands and Vanuatu, where there is customary marine tenure, clans or families have the right to control access and use of areas of land and marine coastal areas. And in many Pacific countries, communities employ cultural practices such as partial closure of fishing grounds – where a particular fishing ground is closed for a short time as a mark of respect to the death of a clan member or as a means of “saving up” resources for a special event. These measures are driven by customs and social needs and can be used to reaffirm claims to particular areas and the resources they contain. They can be modified and adapted to manage resources and contemporary challenges. But customary practices alone will not be sufficient to address the scale and breadth of pressures on marine resources today, which include climate change, overfishing, rapid population growth, demands from markets offshore, natural disasters and poor land-use planning. That’s where the science and research comes in – by helping communities to test and refine the best mix of cultural and modern approaches to manage their resources. A governance approach well-suited to the existing social and cultural structures of the Pacific region, and proven successful by research, is community-based fisheries management (CBFM). This approach involves communities taking a leading role in managing fisheries along with government authorities and non-governmental organizations. Research shows that CBFM can serve many objectives such as enhancing sustainable resource use, ensuring fisheries meet community objectives and empowering communities to design and implement management actions. Since 2012, the Pacific Community and WorldFish have worked in over 20 communities across Vanuatu, Kiribati and Solomon Islands to establish, test and refine CBFM. This is part of the Improving Community-based Fisheries Management in Pacific island countries project funded by the Australian Centre for International Agricultural Research (ACIAR). Importantly, the project’s research goes beyond CBFM to also examine innovative fishing methods, impacts and responses to climate change, diagnosis and diversity of livelihoods, ecosystem approaches to resource management, human nutrition and health, and gender and equity – which together form a suite of tools and approaches to improve fisheries governance and increase the well-being of coastal communities. 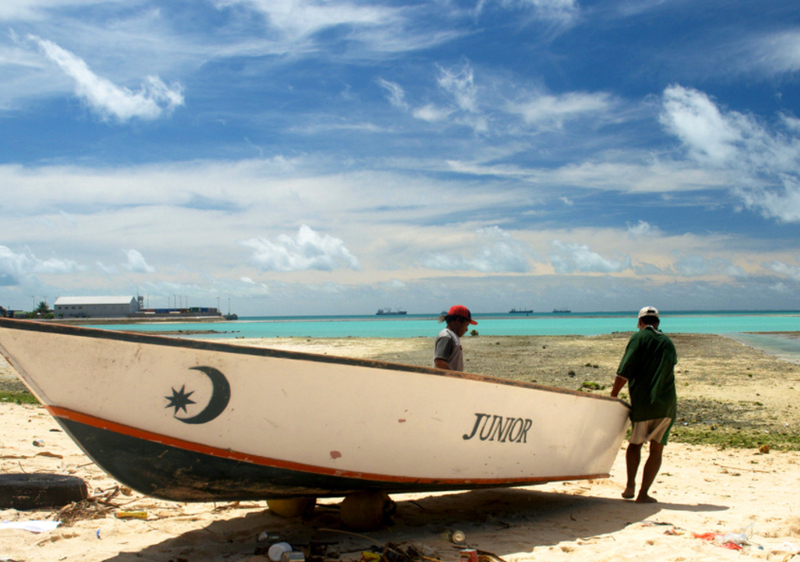 In addition to communities, Pacific Island governments play a critical role in managing coastal fisheries. But in the past, national governments focused on creating laws to regulate how coastal communities catch and sell fish. This top-down approach didn’t work well for small-scale and subsistence fisheries because it didn’t align with how communities used and managed their fisheries. Also, government departments found the geographic scale and distribution of fishing activities to be overwhelming compared to the resources they had for monitoring and enforcement. And regionally, the focus was mostly on the profitable offshore tuna sector. This resulted in limited capacity, resources and political focus being applied to managing coastal fisheries. Kiribati tuna fishers, Republic of Kiribati. Photo by Quentin Hanich. Recognizing that a new governance approach based on research was needed, the Australian Department of Foreign Affairs, ACIAR, WorldFish, Locally-Managed Marine Area Network, Pacific Community (SPC) and others led a four-day workshop in March 2015 to inspire a stronger regional commitment to protect and secure coastal and inland fisheries for the benefit of the Pacific people. The result was the development of a strategy called A new song for coastal fisheries – pathways to change, or New Song for short, which places a strong emphasis on CBFM. Endorsed by the 22 Pacific Community member states, SPC and WorldFish are now helping to implement the New Song in partnership with NGOs and national governments in the region. This is through the ACIAR-funded Strengthening and scaling community-based approaches to Pacific coastal fisheries management in support of the New Song project. As part of this, we are working to standardize regional systems for monitoring small-scale fisheries data – the first coordinated effort to do so. We are partnering with FAO to study the link between fish consumption and nutrition in the Pacific, to see if it provides a way to combat the rise in non-communicable diseases. In addition, WorldFish is holding regional workshops to encourage links between New Song and other existing policies around climate change, food security and gender. Many Pacific Islanders believe that because they fished in the past and they fished yesterday, that fish will be available tomorrow. It’s a mindset that prevents communities from realizing the full importance of managing their fisheries sustainably. But now, science is helping communities determine how to use and manage their resources. And Pacific Island governments, too, are realizing that research backed policy and support will be critical to help communities adapt and improve their well-being in these times of change. It is through these science partnerships that Pacific Islanders have a new way of looking at coastal fisheries management, and have hope that fish will continue to be available for generations. 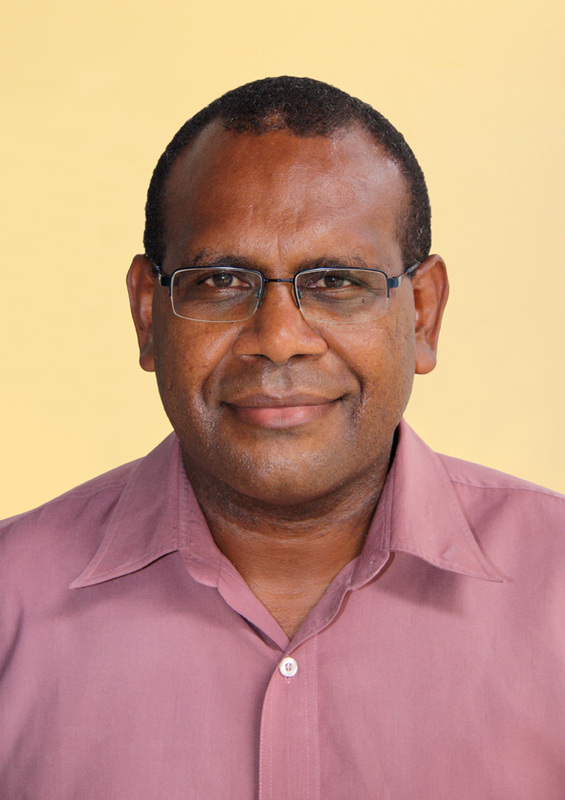 Moses Amos is the Director of Fisheries, Aquaculture and Marine Ecosystems at the Pacific Community (SPC). Before joining SPC in 2014, Moses was the Director of Vanuatu’s Department of Fisheries for 12 years from 1997 to 2006 and from 2010 to 2014. From 2007 to 2010 he was Director of Fisheries Management at the Pacific Islands Forum Fisheries Agency (FFA) in the Solomon Islands. Moses holds a Master of Science degree in Biological Science from the University of Auckland and a Bachelor’s Degree in Zoology from Otago University, both in New Zealand.